We often get asked for ideas for non floral centrepieces. I know some couples couldn’t imagine a wedding without beautiful flowers on the tables and around the room but your wedding should be about you. So if flowers aren’t your thing then how about thinking of a non floral centrepiece. We love the idea of candle centrepieces, these could be in keeping with a rustic or more elegant look. For a rustic candle centrepiece how about placing tree slices and small tree stumps in the centre of your wedding tables with tea light holders all over them. Or for an elegant classic look stick to all glass and let the candle light speak for itself. 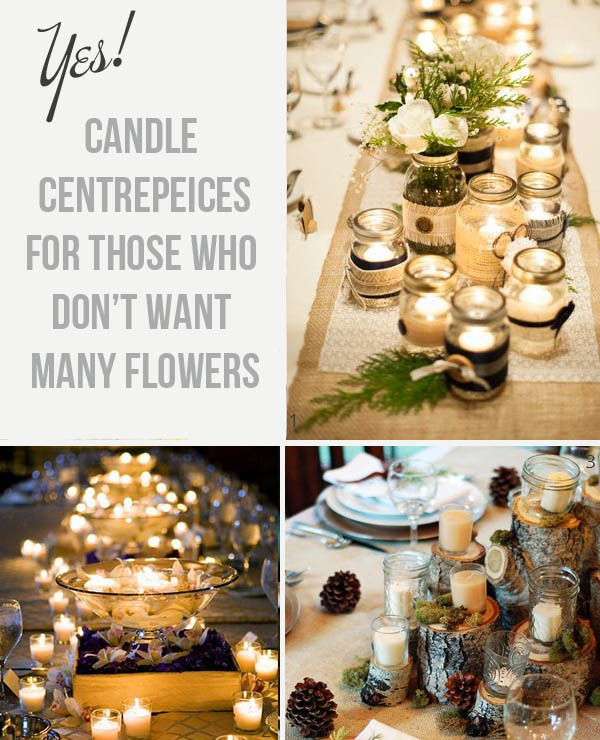 If you like these ideas you may like to browse our collection of candle holders and tea light holders for wedding centrepieces.